Fudge is more than creamy and delicious; it is one of those simple pleasures with a sweet memory connected to it; a memory of a time when life was simpler. At WeDo Fudge we invite you to celebrate that memory. 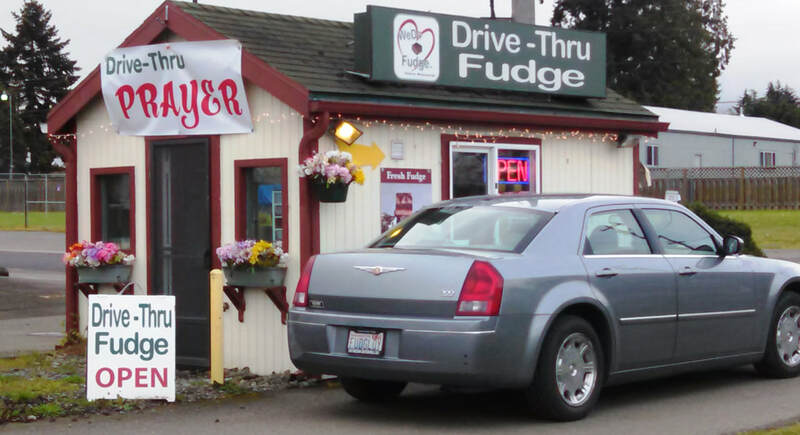 Visit the 1st drive-thru fudge stand in the country and try different gourmet flavors every week. Our fudge is so soft and creamy! It’s the taste that brings you back to the times when life was simpler. We’re always dreaming up exciting new flavor combinations that prove irresistible to our customers. We can even design a flavor combination just for you. Our philosophy is simple–if you are going to eat fudge, eat good fudge! Fudge is an indulgence–a gift you give to yourself and others. Our goal is to leave a great taste in your mouth. Let WeDo Fudge provide the gift of sweetness in your life or someone you love! quality product and being known for our generosity and encouragement. gladly donate your tip to a local charity.